Copyright: The Copyright for each image entered will remain with the submitting photographer. By entering the Competition and submitting your photograph(s), you hereby grant the Promoter, its sponsors and their hosting partner Photocrowd a non-exclusive, irrevocable license to use your photograph(s) for any purpose connected with the Competition, including (but not limited to), promoting the Competition within printed and online media, the inclusion within printed and digital versions of any Competition book, the inclusion within printed and digital versions of Competition calendar and other merchandise, display at exhibitions, use in press, promotional and marketing materials, social media networks and for the promotion of any future photographic competition in both print and online media. 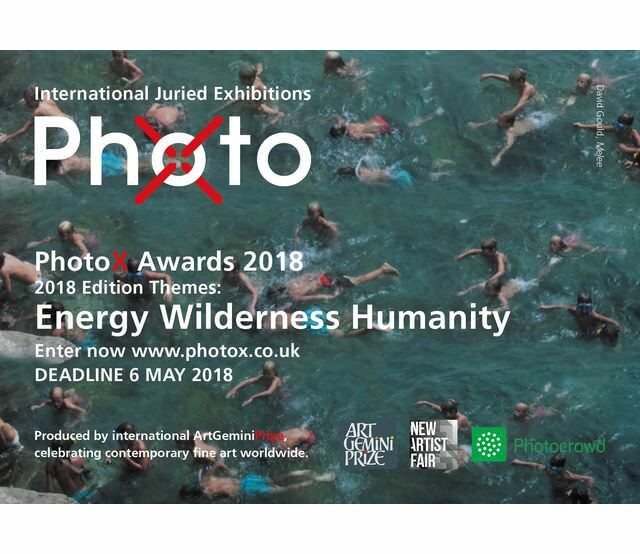 The overall winner, six category winners and all shortlisted entries will be exhibited at the PhotoX Finalists’ Exhibition, to be held at London’s Menier Gallery. The overall winner and category winners will also be shown at the New Artist Fair in London. There is a maximum of 9 images that can be entered by each photographer – 3 into each of the 3 main categories. Online submission of digital photographs via the website.